You have a few days left to file your taxes. Don’t miss out on tax credits you’ve already earned in your mad dash to get them in on time. One big credit that is frequently left unclaimed is the Earned-Income Tax Credit — known as the EITC. The truth is that those that need it most are often the ones missing out on claiming these funds. Lower-income Californians are leaving $1.8 billion in federal earned-income credits unclaimed each year. Many individuals do not even realize they are qualified to claim this money. This is a costly and unfortunately common mistake that negatively impacts individuals and families as well as our communities. This year, there’s even more at stake as the potential benefit has increased. The San Diego Regional Chamber of Commerce and others helped to create the California EITC over the past year. The state EITC is designed to supplement the Federal EITC and creates even larger refunds for those that qualify. But the EITC cannot help those who do not know to claim it. Here’s why we must not let these dollars go unclaimed. First, this credit has been proven to efficiently get dollars to those who need it most, and to do so in a way that has been proven to help end the cycle of poverty. The credit was created for them and could put a sizable amount of money back into their pockets. Second, this is money that lower-income families would be spending on necessary goods and services. The new California EITC has the potential to bring an additional $400 million into our economy. We’re missing out on an influx of dollars that would have a positive effect on our economy and local businesses. When business does well, everyone in our community benefits through job creation and new opportunities. You might be surprised about who qualifies for the EITC. I’m willing to bet that you, a family member, or someone that you know is eligible and currently missing out. Here are the numbers: In order to be eligible for an EITC, a worker with a family can make nearly $48,000 and still qualify. It is, however, single filers without children who are believed to more commonly leave the credit unclaimed. Single filers are eligible if they make less than $14,820 in annual income, so many part-time workers qualify. 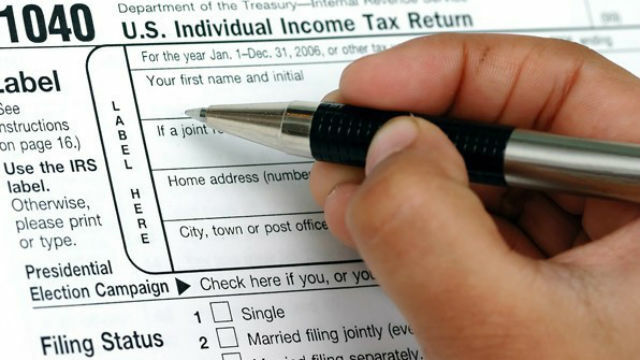 Eligible filers can claim as much as $8,895 in earned-income tax credits. The chamber is proud to have been a leader in making the new supplemental California EITC available for the first time. We understand the benefits of having an effective tool to help lift hard-working people and their families out of poverty, while incentivizing work. We know that money spent locally strengthens business and creates more opportunity for those living and working in San Diego. With larger refunds available this tax season, it is more important than ever that we encourage those who are eligible to claim their credit. If you know someone who might be eligible, tell them to visit caleitc4me.org for information on eligibility and filing. Sean Karafin is executive director of policy and economic research for the San Diego Regional Chamber of Commerce.